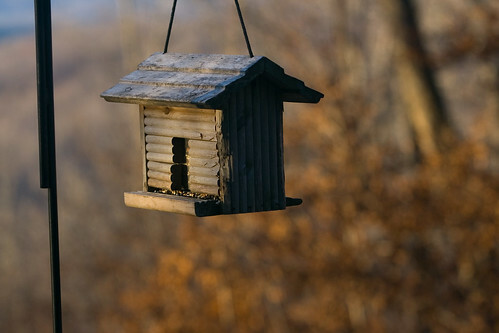 Placing a bird feeder in your backyard can be a simple project that will enhance your backyard experience and fill it with the sounds of nature. Bird feeders are not only responsible, they are a great way to nurture the natural environment that is surrounding you. Crafting a bird-friendly backyard can be an easy way to add beauty to your yard while simultaneously cutting down your landscaping workload. Well get to that in just a bit! Bird feeders are placed outdoors to provide food for birds in an accessible location that is easy to find. Usually consisting of a tray or a hanging contraption, bird feeders are simple and relatively inexpensive when compared to other forms of lawn care. Here’s a short guide that will show you why you’ve been missing out by not having a bird feeder in your backyard! There are a variety of styles that you can aim to use. Among the most popular are hummingbird feeders, suet feeders, and seed feeders. Seed feeders are designed with a place for birds to perch and feed through a wired net. Hummingbird feeders on the other hand, are used for liquids instead of seeds like sunflowers, saffleflower, canola seeds, or millet. Although this may be the cleanest route, it can have some downsides. Nectar bird dispensers have a tendency to grow yeasts and other harmful bacteria. In order to avoid this, you should make sure that you clean out your bird feeder on a regular basis. Rinse out your bird feeder with warm soapy water using a brush/scrub to make sure that you reach all of the small crevices. A bad feeder is not only harmful to the birds, it can also lead to problems with your surroundings. In a natural ecosystem, all animals, critters, and even human beings are dependent on the life form around us. If disease spreads through an ecosystem, it could affect you and pose negative health risks. Birds are graceful creatures that dance through the air in an orchestrated ballet. These animals are a sight to see with a variety beautiful species. Having a bird feeder will attract birds to your backyard, allowing you to get a better view. Sometimes you can even get a glimpse of those hard to find species! The melodies that they sing and the graceful flights through the air are enough to relieve you of stress and help you enjoy the great outdoors. Aside from the visual benefits, birds actually serve an important role in the growth of your garden and landscape. Small birds like sparrows and finches consume large amounts of seeds from weeds. This may seem like a heaven sent that proves that sometimes the natural order of things is what is needed to keep your lawn well trimmed and weed-free. All of those pesticides and back-breaking hours of work can be eliminated with a simple bird feeder! Similar to bees, birds are pollinators. This will help to improve the growth of your garden as larger areas become heavily pollinated through natural interactions with your landscape. Flower beds will see larger yields just by using bird feeders to attract nature pollinators. Birds can also make your life a little easier by eating away at all of those insects that can ravage your garden. Once birds become aware of an easy access bird feeder, they will naturally find tastier treats hidden in your yard like worms, spiders, snails, and a multitude of other insects! With this in mind, you’ll probably have a grin on your face as you watch your new friends dance around in the sky patrolling your yard of many common garden pests. The Liveo Floor Fountain. More info. TIP: When you install a bird feeder, it’s important to also provide access to a clean water source. You can incorporate a bird bath into your landscape or use a fountain pond to serve as a bird bath. This post was written on behalf of Fountain Crafters by Cheryl Khan. Cheryl is a contributing writer to the Fountain Crafters Blog and can be contacted on Google+ or through twitter @SuperInteriors.